Lewis' hopes for a peaceful summer vacation are shattered as one accident after another plagues him. Is all his bad luck really just a coincidence? Or does it have something to do with the mysterious hooded figure he keeps seeing? The Last Of Lewis Barnavelt? The lovable underdog Lewis Barnavelt and his best friend, Rose Rita, are at it again - investigating the curious (and possibly supernatural?) goings-on in their town of New Zebedee. They get more than they bargained for when a new family moves into the Hawaii House, one of the oddest-looking houses in town, and Lewis and Rose Rita are drawn into a mystery involving forces far beyond the shores of their imagination. Why are there strange drumbeats emanating from the top floor of the Hawaii House? And why is Lewis having dreams about Pele, the Hawaiian goddess of fire? When Lewis, his uncle Jonathan, and their friends Rose Rita Pottinger and Mrs. Zimmermann take a trip to a small town near Lake Superior, they expect a pleasant vacation. Instead, they find themselves facing the ghastly Ishmael Izard, son of the fiendish creator of the Doomsday Clock that was once hidden in the walls of Uncle Jonathan's house. Ishmael himself is a cruel and heartless sorcerer, and he is determined to wreak vengeance upon the entire world. Will Lewis and his friends be strong enough to defeat him, or will their fate be decided by their most formidable foe yet? Lewis Barnavelt is back and this time he has stumbled upon something more powerful than even his imagination can dream up. A camping trip with his Scout troop leads Lewis straight to an old grave and a mysterious, magical whistle. When Lewis discovers that this whistle has the power to stop the boys who insist upon bullying him, he is left with a tough decision. Does he continue to use the whistle, which he suspects might not be completely safe? Is Lewis strong enough to face the potent spirit that he is unknowingly summoning? A fantasy classic by the author of The House with a Clock in Its Walls - basis for the Jack Black movie - and "a writer who knows what wizardry is all about" (Ursula K. Le Guin). 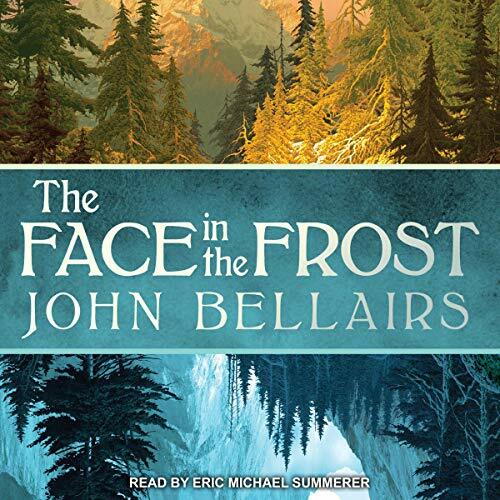 A richly imaginative story of wizards stymied by a power beyond their control, A Face in the Frost combines the thrills of a horror novel with the inventiveness of fairy-tale-inspired fantasy. 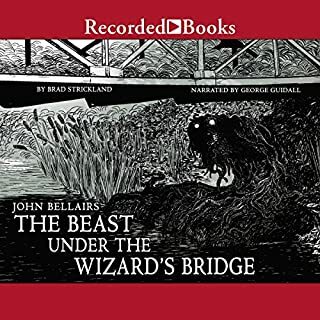 With a unique blend of humor and darkness, it remains one of the most beloved tales by the Edgar Award-nominated author also known for the long-running Lewis Barnavelt series. 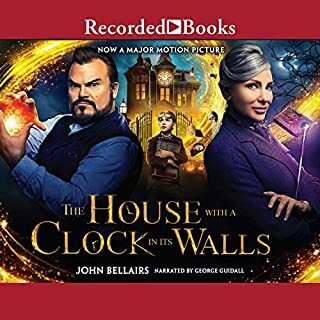 Bellairs is best known for his children's books, with an added boost recently from The House With a Clock in Its Walls being released as a movie. This isn't a kids' book. Not that it contains any inappropriate content, and there are undoubtedly kids who would enjoy it. 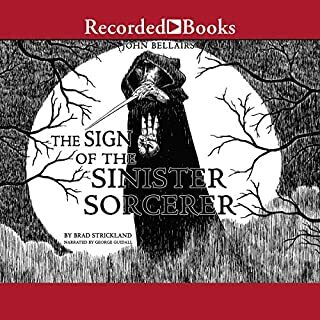 This book, though, is aimed at adults who will enjoy the wordplay, the humor that rests on familiarity with things kids the age of Bellairs' usual readers haven't read yet, being aware of who the "other" Prospero is and recognizing the name of Roger Bacon, and...but no. Wait. Kids would enjoy the transition from the comic beginnings to the terrifying opponent. The basic story isn't remarkable. Two good wizards discover evidence of an evil wizard at work with dark intentions, and set out to stop him. What is remarkable is graceful, elegant, and extremely funny use of language and familiar literary imagery to create a delightfully original and absorbing story for adult readers. I have a deep and abiding love for this story, and its author, and, weirdly, for the discovery that the women's Catholic college he taught English at for a year, and was deeply unhappy at, was in fact my own alma mater--and that he was fondly remembered there as a good, likable, interesting guy--not by the English department, but by the history department. And specifically, the chair of the history department, who was my adviser. 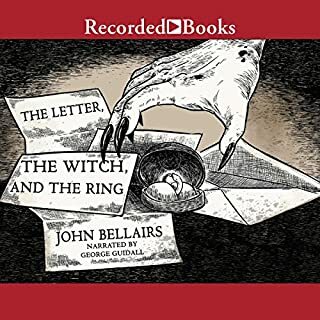 It's the sort of whimsy that's entirely appropriate for John Bellairs. Who, yes, really was a good, likable, interesting guy. This story is highly recommended and a lot of fun. I had to listen to this twice to get the fuller appreciation of this work. By the end, I realized that what I needed was the assurance that the story would eventually go somewhere beyond, presumably in a sequel. Hopefully some day I can look at The Dolphin Cross. While reading, I imagined Gandolf in his off moments, Diana Wynn Jones whispering authorial advice from off-stage. As with Bellairs YA works, the story is mellow and enjoyable. The story's brevity makes it a risk-free investment for the listener/reader. I'm so happy that Audible released this! 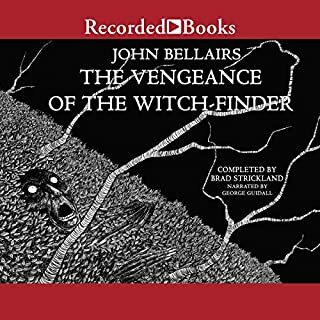 This classic short fantasy work is celebrating the 50th anniversary of it's publication this year and I couldn't be happier that it has been re-released as an Audible Audiobook. 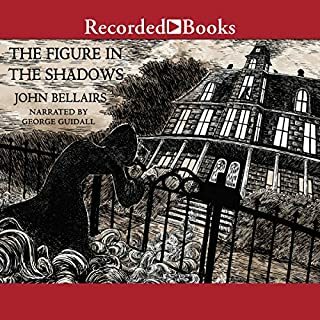 The narrator does a great job at bringing the story to life, and the words feel as fresh as the day that Bellairs first wrote them down. Highly recommended!